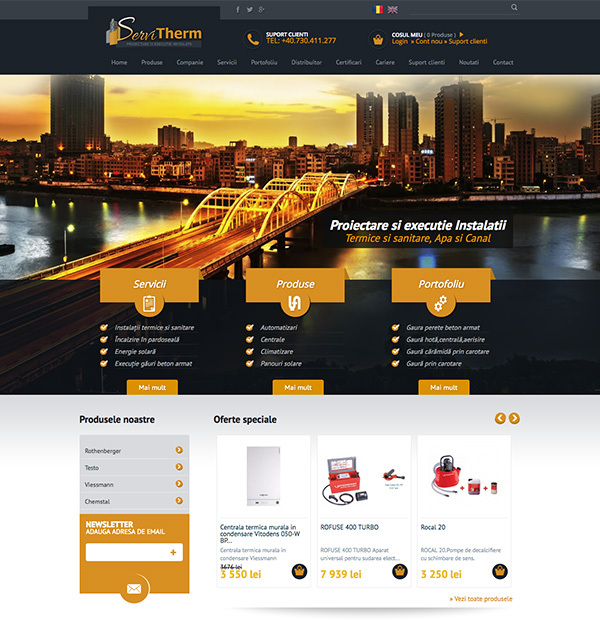 SC Servi Therm Sat SRL, is a company with more than 10 years experience, both in the country and abroad. Its objective is to provide the best customer service by providing the necessary quality, technical advice and guidance in order to make the right choice in sanitary, central heating, air conditioning, solar, thermal and photovoltaic, both for domestic use , As well as commercially. 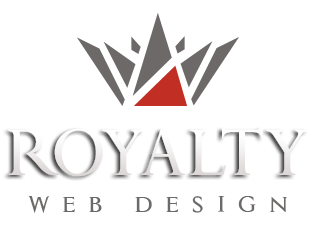 The website design by Royalty for this installer combines elements of an online store with those of a presentation page. Thus, users can order online products such as: thermal power plants, air conditioners, solar panels, etc. The online store allows you to purchase the products in the cart by paying with your card or by paying on delivery, the buyer can also place the order directly if he does not want to log in to the system. The web page contains sections of Services, Certifications and Portfolio papers, as well as a section of Careers, Customer Support and News.